Penny Hamilton in Colorado won first prize with her dog Prince coming out of an innovative tunnel leading to their elevated deck. When asked what she thinks about pet doors she said, "Our dog and we love the freedom that our pet doors gives. 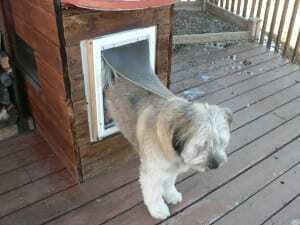 We live in Colorado high mountains so we made an 'airlock' with two pet doors. Our smart dog, rescued from a high kill area, just bounds through 'his' pet doors to our elevated deck with is elevated to keep him safe from mountain lions, bears and other mountain critters." 1,000 pounds of dog food is a lot, and Prince would have a lot of chewing in front of him to get through all that. 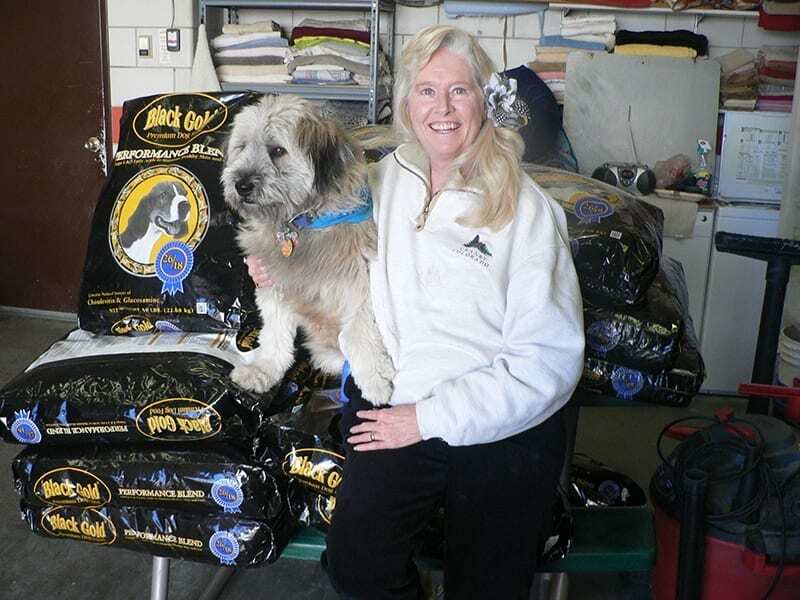 Penny chose to donate her prize to a local animal shelter and dog food bank where her generosity will feed many hungry dogs. The contest is back. Take the opportunity to enter at plexidors.com/contest-2015/ - maybe the Black Gold truck will be coming to you later this year!